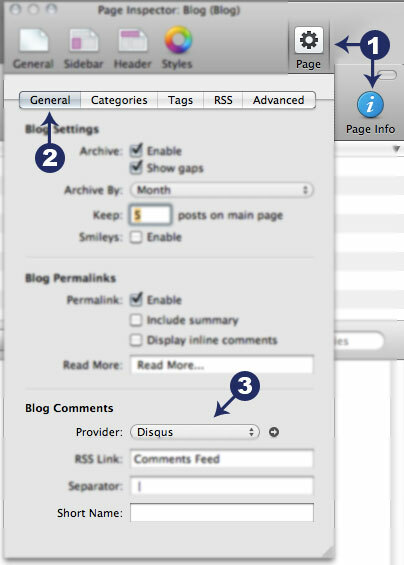 Select a page or blog you wish to install Disqus on and click the blue icon for Page Info and Page. Under the general tab you will find Blog Comments and choose Disqus. Choose Disqus and enter your Shortname.